Chyau Long (Avalong) has been established in Taiwan since 1977. Plastic industry in Taiwan has grown rapidly since then. We design and develop high quality and efficiency High – Speed Mixer, Vertical Cooler, Horizontal Cooler and Semi- Automatic Conveying System suitable for PVC plastic raw materials, chemical materials, cosmetic, food, glass, ferrite, etc. In order to meet various users’ needs, in 1995 we started R&D on Pulverizers, Granulating Machines, Automatic Metering Equipment etc. We increase the profit for our customers by means of technology and meet customers’ needs. In recent years, we took a step further in designing complete line of PVC (Cable) granulation, PVC pipe and PVC windows. Under strict production control, we take care of each process parts and offer customer free test on machines before procurement. With great support from our customers, we are able to make global sales to over 100 countries worldwide. Major global companies including GE PLASTICS CHINA LTD (U.S.A.), REHAU PETE LTD. (Germany), TEIJIN CHEMICALS LTD (Japan), ATOFINA LTD (France) and FORMOSA GROUP (Taiwan, China, U.S.A.) etc. In Taiwan, Chyau Long’s (Avalong) high speed mixer equipment is renowned for its high quality image. It is always our first priority to fulfill the demands of each individual. By constantly developing better products, we are able to help each customer make the best machines in accordance with their needs and to win their confidence and trust. In 1993, Chyau Long (Avalong) was awarded the R.O.C. Golden Dragon Award. In the following year, the R.O.C. Special Excellence Award, and in 1996 the R.O.C. Golden Quality Award. 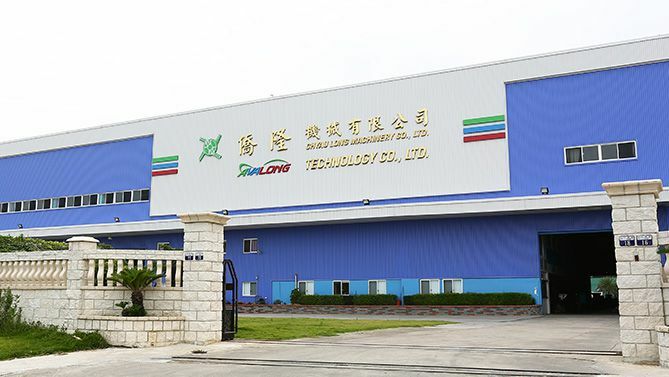 The products make up the lifeblood of any manufacturing enterprise, and by obtaining a succession of patents, Chyau Long (Avalong) has been able to achieve a high level of competitiveness in the international market. In order to satisfy worldwide Quality Assurance standards, Chyau Long (Avalong) has achieved the European CE Quality Assurance certification in 2000. It is our hope that this will aid us in our goal of bringing excellent machines and equipment to an increasing number of global customers. It is Chyau Long (Avalong) long term aim not only to continue to improve environmental and labor saving conditions, but to assist our customers to increase the level of automation in their factories to achieve the ultimate goal of zero-manpower.